Tampa, (Fl) -- Virginia, there is no Santa Claus and even if there is one it will give it more to the upper income families - There are plenty of situations and things that during the winter solstice brings happiness to the people, at least some faked aspects about their lives. People are hypocrites and you can see it better when Thanksgiving is arriving but nothing better than when Christmas is around the corner and specially New Year. Yes, I sound bitter but it's still better than to have unrealistic expectations about this season, about the cycle that repeats every year; maybe, we are ritualistic as a species. Maybe, we had lost the meaning of the solstice, the celebration and we have moved into a path of consumption and being fake just to impress other people. But, who knows, maybe we had become fearful of social interactions and we place over head masks in order for people to avoid seeing the real us and during the last weeks of the year, what better time to do it. 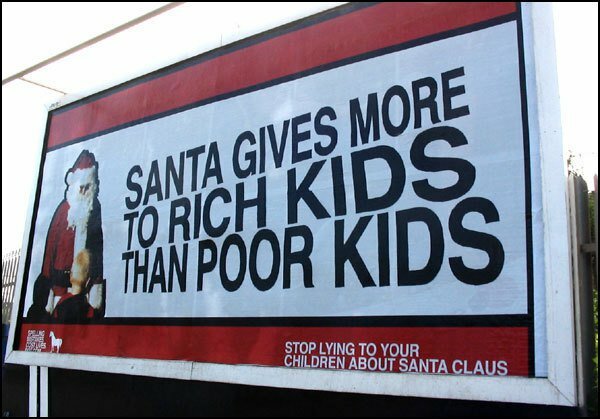 Maybe is true, Santa does gives more to rich kids than poor kids, because the parents can afford more than the ones living in section 8 but that don't stop the people to go and flood the shopping centers.